Betta canister filter with built-in 13W UV steriliser. Unfiltered water flows in from the aquarium and into the UV chamber where harmful bacteria and parasites are neutralised. 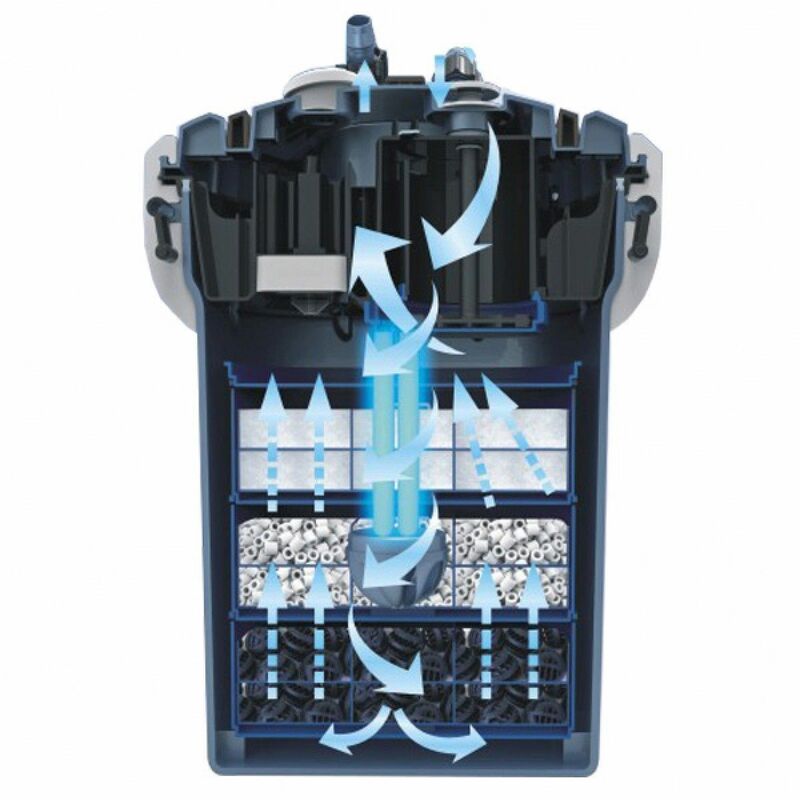 The water then flows into a multi-stage filtration system passing through the media trays and flowing to the top clean and clear it is then pumped back into the aquarium. Comes complete with media. Built in UV tilt safety switch patented revolutionary one pump ez prime system. Built in surface skimmer. Colour coded quick release valve. 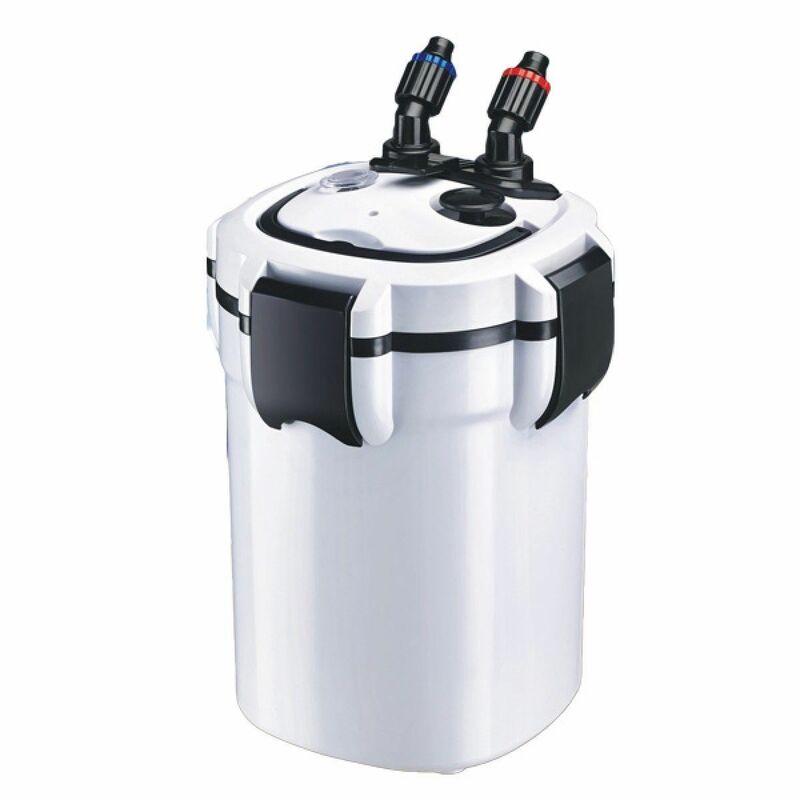 Flow rate: 2000L/H Lift 2.4m Tank Volume: 540L Power: 43W Media case layers: 4 Voltage: 240V/50Hz Pipe type: 19x24. 13W UV. Key features: Quiet & reliable low energy consumption high flow rate easy to use and maintain suitable for freshwater aquariums.